Alex Stedman a freelance fashion editor and lifestyle blogger posted Type and Story’s peach ‘Hurrah’ card on her instagram stories and grid. Erica Davies fashion editor featured Type and Story’s ‘Monogram E Notecard set’’ on her instagram stories. Spirit & Destiny Magazine featured our ’Mind Body and Soul Notecard set as a ‘stylish, motivating and beautiful’ gift. 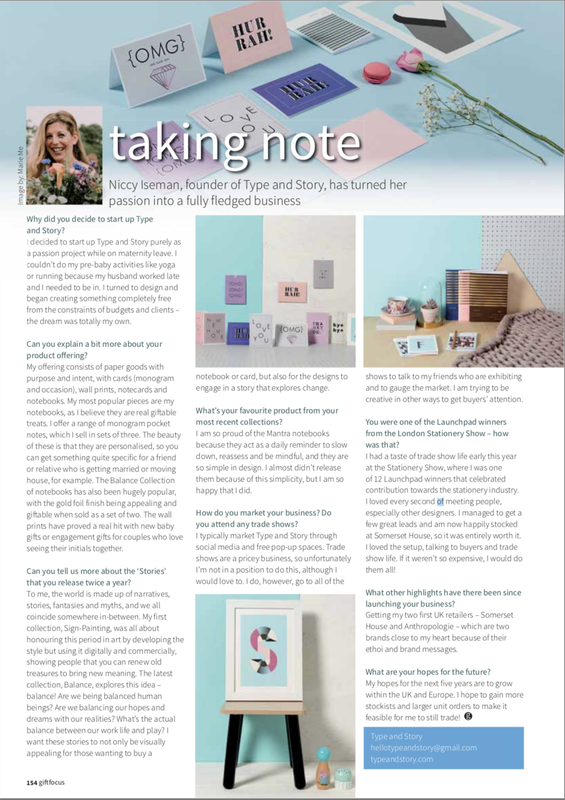 Gift Focus Trade Magazine interviewed founder of Type and Story, Niccy Iseman in an article titled ‘Taking Note’. 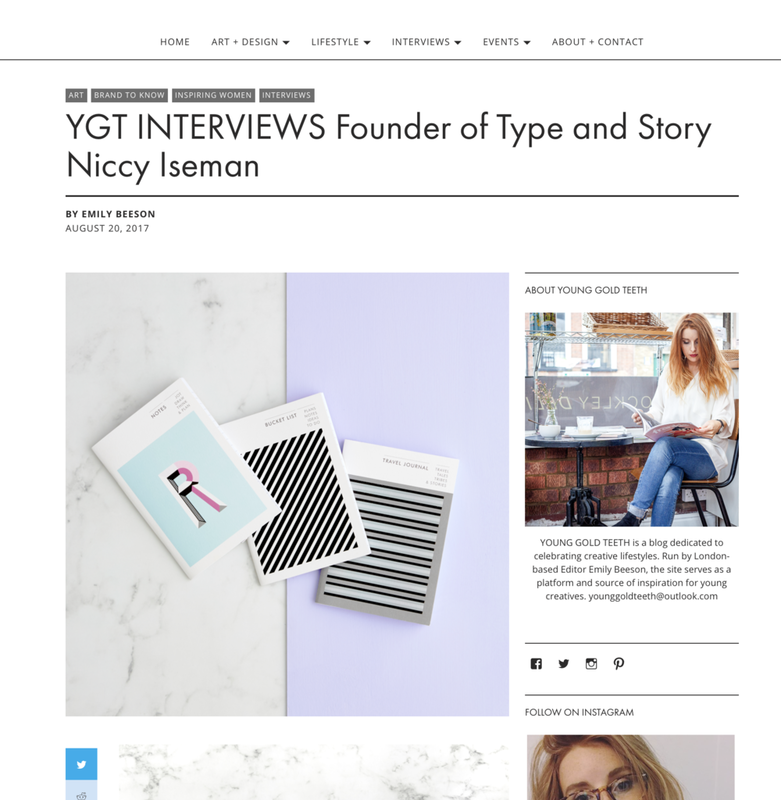 Lifestyle blogger Maya Modha interviews Niccy Iseman, founder of Type and Story about all things purposeful and brand related. Read the full article. 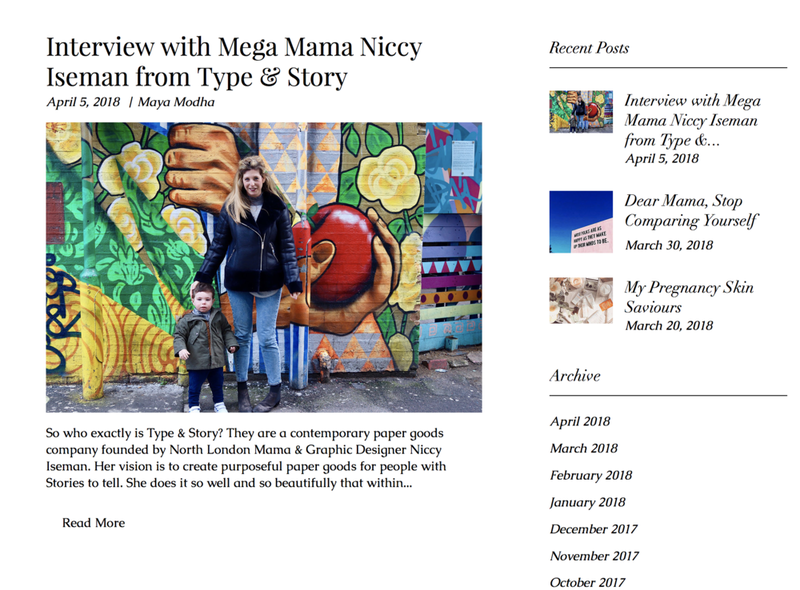 Lifestyle brand Oya Goods interviews Niccy Iseman, founder of Type and Story about all about 'Motherhood'. Read the full article. 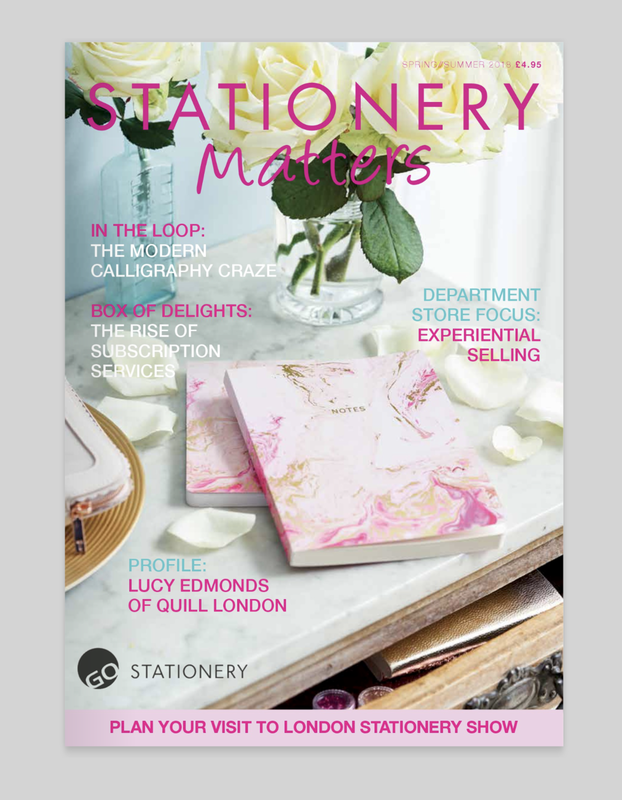 The Stationery Show’s Annual magazine featured Type and Story as one of the twelve winners of the launch pad competition to win a free trade show spot. Read the full article. Suitcase Magazine - The Islands Issue, featured Type and Story in their 'What To Pack' section. 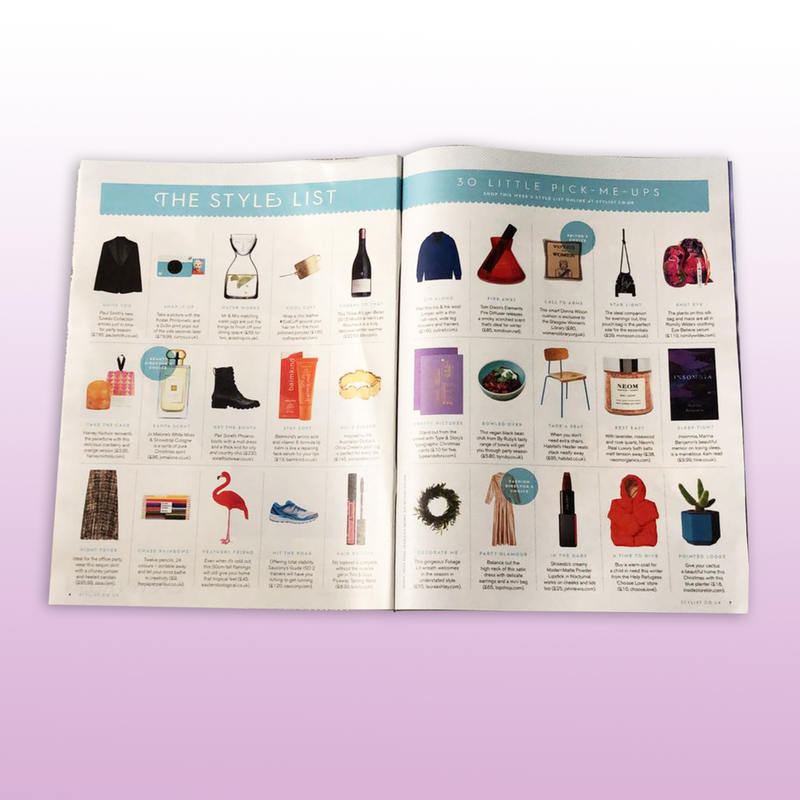 Stylist Magazine featured Type and Story in their Style List entitled 'Well Noted'. Wallpaper Magazine featured Type and Story in their Gallery Bites entitled 'Sign of the times'.